In a split second they were gone . . . A tragic accident took everything that mattered to Rome Matthews -- his wife, Diane, and their two little boys. And it robbed Sarah Harper of her best friend. In the two years since the tragedy, Sarah has wanted to reach out to Rome, but she knew she needed to stay away, guarding the secret she had kept from him and Diane all those years -- that she was in love with her best friend's husband. But now Rome needs her. And though another woman will hold his heart forever, Sarah agrees to be his wife, knowing that everything has a price, including love. 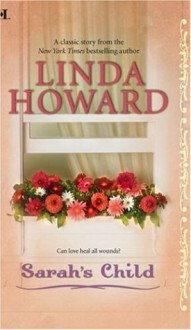 Then something totally unexpected rekindles her hidden hope that a marriage of convenience will become a union of love. Will Rome keep fighting his own growing need for a woman who dares him to believe there are second chances in life . . . or will he give in to the healing power of love and miracles? I am wondering why I rated this book 5 stars earlier . I re read this book and disliked the story . Did not like the h. The H was mean fellow. To be fair he did lose his family but still wth? ?